We specialize in drivability, auto electrical repair, air conditioning, brakes and scheduled maintenance. My technicians have certifications from The National Institute for Automotive Service Excellence. My staff is friendly and helpful. 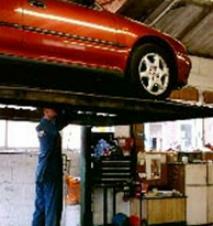 Our diagnostic equipment is capable of servicing today’s modern automobiles. I will personally give you an estimate before any work is done on your car. Free Shuttle Service To Your Home Or Office!